During the first two decades of the 20th century, there was no one smarter playing the game than Eddie Collins. The Columbia-educated second baseman was one of Connie Mack’s $100,000 infielders during the A’s 1910-1914 dynasty. Besides using his brains to excel on the field, Collins used his education to make sure he got what he deserved salary-wise from management. This was most evident when he was with the Chicago White Sox. While his teammates Joe Jackson and Chick Gandil complained they were taken advantage of by owner Charles Comiskey, Eddie Collins was able to command a very generous salary from the notoriously tight-fisted owner. This disparency in pay became the basis for the infamous 1919 World Series scandal. While eight of his teammates were tossed from the game for life, Collins remained above the controversy. His encyclopedic knowledge of the game led to him being named the White Sox manager in 1924, a post he held for the next three summers. Then, on June 3, 1925, Collins became just the 6th player in history to join the 3,000 Career Hit Club. 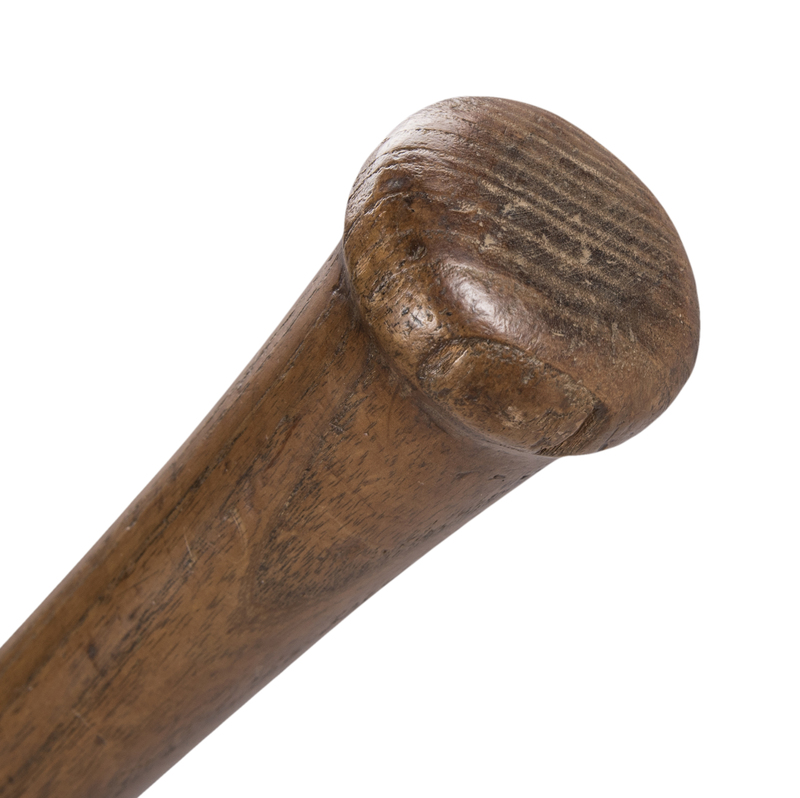 This remarkable bat was used by the great second baseman during the 1922-1925 seasons as he edged closer and finally surpassed the coveted 3,000 career hit mark. The Hillerich & Bradsby pre-model bat shows good use and matches the weight and length of bats ordered by Collins during the 1922-1925 period. 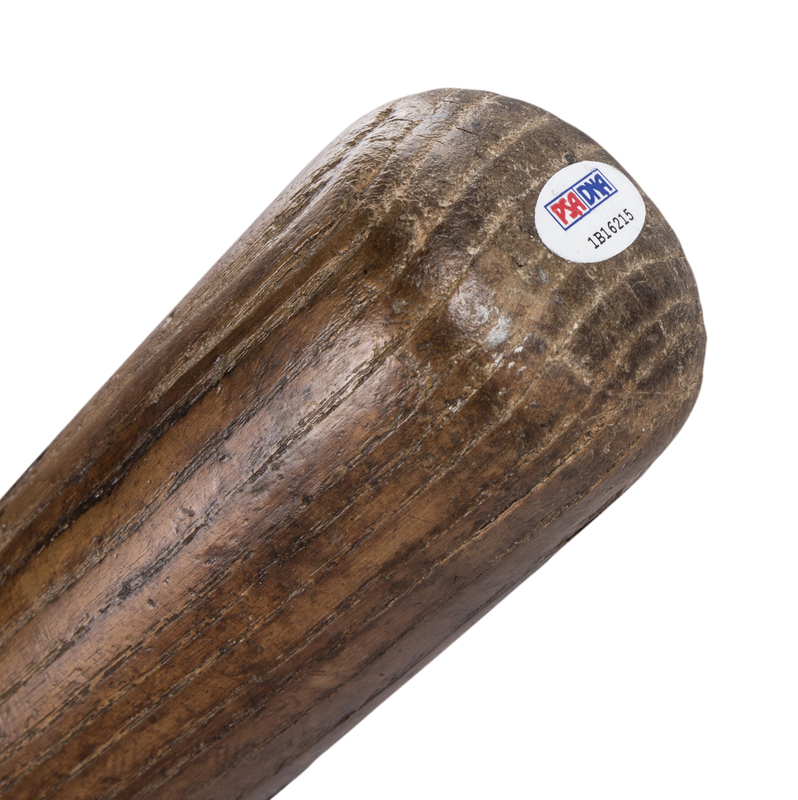 The bat’s center brand exhibits the remnants of white filler, and a check of factory records show that the Hall of Famer had his bats finished with white filler. This bat comes with a LOA from PSA/DNA (1B16215) for the game use and has been graded a solid GU 8.